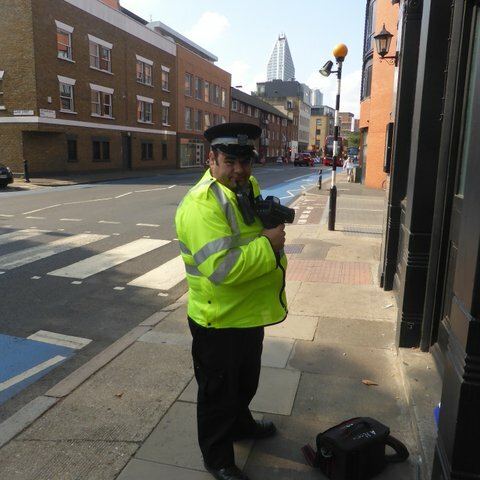 Southwark Cyclist volunteer and PCSO Kevin Phillips will be at the junction of Southwark Bridge Road and Sawyer St. The evidence they collect of illegal speeding (no, I don’t believe it either) is persuading the Met to bring out it’s weapons-grade speed guns and issue fines. It’s a worthwhile cause. To join in email kevin.j.phillips@met.police.uk (pic above). An affable guy who doesn’t like speeding.